As part of the Affordable Care Act, the new Health Insurance Marketplace helps uninsured people find health coverage. Fill out the Marketplace application (linked below) to find out if you qualify for private insurance plans, Medicaid, or the Children's Health Insurance program. 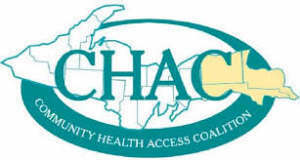 We understand this process can be overwhelming, so please take advantage of local navigation assistance through the Community Health Access Coalition (CHAC) at 906-635-7483, located at 143 Arlington Street, SSM. They are ready to help you in any way they can. CHAC is also available to provide unbiased information regarding Medicaid, Marketplace, and Medicare programs. Trained staff are available to assist with applying for financial assistance programs and completing all necessary paperwork.